The following tables show the various Ford-assigned body style numbers and any corresponding body manufacturer tag prefix numbers for 1928 through 1931 Model A and AA Fords produced and marketed primarily in the US and Canada. In nearly all cases below, the names used to describe body styles and models are the same names Ford used themselves in advertising and literature. Not all bodies had a body builder's tag or identification. The prefix on the body builder's serial number tag was the body company's internal identification of the Ford body type. The number after the prefix was the serial number the builder assigned to that particular body. Those serial numbers were not assigned by Ford. The body manufacturer's tag number (if present) was never part of the Ford vehicle serial number, or identification number for titling or registration purposes. The body builder tags in 1928-29 were typically made of brass and were nailed to the wooden floor structure, behind or outside the RH front occupant's feet under the carpet. In 1930-31, most body tags were typically made of zinc (and later aluminum) and were drive-riveted or screwed to the firewall below the patent plate data tag under the hood. Some early 1930 firewall tags were brass, similar to 1928-29 versions. In the Body Style Identification tables below there are references to 'flat firewall' and 'indented firewall' body details for some 1931 entries. In April 1931 Ford began converting the gas tank design and fuel shutoff valve location from a 'flat firewall' and inside gas valve design, to a design having an 'indented firewall' ('inverted teardrop depression') and an under-hood gas valve arrangement. This design change is often useful in dating approximate build timing of various early 1931 models. The firewall above is a Murray stamping, noted by the use of a cage nut rather than a 'D' nut, and the specific shape of the teardrop. Non-Murray firewalls had a similar but different shaped teardrop indentation. When Ford changed to the indented style firewall in April/May 1931, existing stocks of the earlier style flat firewall panels on hand were reworked by re-stamping the indentation into them. Those 're-stamped' firewalls were used throughout the remainder of 1931 production, primarily in the construction of truck cabs and commercial models. The re-stamped firewalls are very evident in their appearance, showing the flattened rib from the original flat firewall stamping. Ford often assigned their own body ID/serial numbers to bodies produced and assembled within their own operations or Branch assembly plants. If present, those numbers were stamped on interior floor sills at each plant, identifying both the plant and body serial number. The Ford body number (if present) was never part of the Ford vehicle serial number, or identification number for titling or registration purposes. See the first related link in the list at the bottom of this page for more information. The first column lists the body style number assigned by Ford and used in their internal operations. Also identified are the various body companies which provided completed (or CKD) bodies or panel subassemblies to the Ford branch assembly plants for each body style. Click images below for a larger view! n/a n/a Body panel assemblies developed by Budd. 159- Body built by Briggs. 198- Some 1930 bodies built by Briggs, majority by Ford. 166- Some 1930 bodies built by Briggs, majority by Ford. 160- Some 1930 bodies built by Briggs, majority by Ford. 191- n/a n/a Body built by Briggs. Some 1929 Export 60-A Brown Leatherback body tags had a prefix of 191- during concurrent production after US market changeover from the 60-A Brown Leatherback to the 60-B Black Leatherback. (Example: An original export 60-A Brown Leatherback in New Zealand having a 191-1418xx body number and a firewall date of 3/9/29). Both 190- and 191- prefixes shared the same population of body serial numbers. 190- n/a n/a Body built by Briggs. 195- n/a n/a Body built by Briggs. 197- n/a n/a Body built by Briggs. New (for 1929) Briggs standardized styled cowl and body construction replaced the many unique body parts and designs of the earlier Briggs 60-A, B, C series Fordor sedans. A similar styled cowl was also used on the 68-A Cabriolet and the 140-A Town Car. Allowed greater sharing and harmony with other 1929 Ford model 155- and 165- series Briggs and Murray Fordor sedan bodies. Body construction and shared cowling (1930 style) carried forward into all subsequent 1930-31 model 155-, 165-, and 170- series Fordor sedans. (5,279) n/a Body built by Briggs. 167- Body built by Briggs. (no tag) Panel assemblies and/or bodies were built by Briggs & Murray & Ford. M651- n/a n/a Body built by Murray. 196- n/a n/a Body built by Briggs. M654- Body built by Murray. 162- Body built by Briggs. M601- n/a n/a Body built by Murray. 199- n/a n/a Body built by Briggs. M604- Body built by Murray. 164- Body built by Briggs. 194- n/a n/a Body built by Briggs. 161- Body built by Briggs. 138- Body built by Briggs. n/a n/a Body built by Briggs. 193- n/a Body built by Briggs. June n/a Body built by Murray. (Introduced June 1930) n/a n/a Bodies built by Murray & Baker Raulang. 190A Body built by Murray. Victoria - US Bodies built by Murray. Flat firewall Canadian Steel Back bodies built by Canadian Top & Body Corp., LMTD., Tilbury, Ontario. 400A Body built by Murray. June n/a Body panel assemblies developed by Budd. 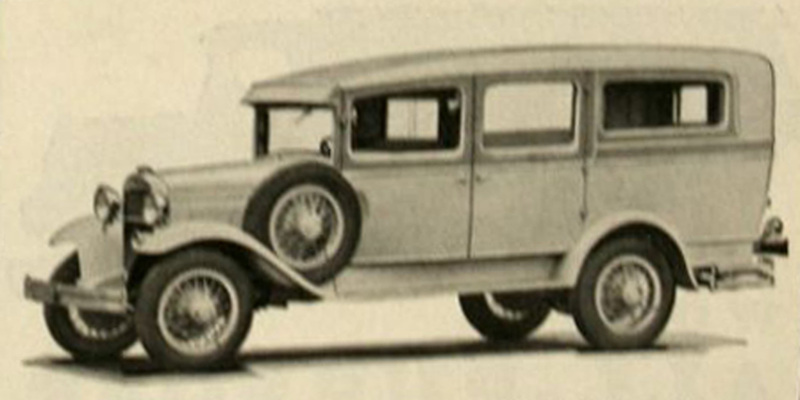 (Introduced August 1931) n/a n/a n/a Top and body panel assemblies developed by Budd. (Introduced Nov/Dec 1927) Cargo Box panel assemblies developed by Budd. (Introduced May 1931) n/a n/a n/a Cargo Box panel assemblies developed by Budd. 123-? Cargo Box built by Briggs. June n/a Express Box panel assemblies developed by Budd. 117- Cargo Box built by Briggs. June n/a Body panels built by Budd, CKD to Ford. #? Body built by Murray. 149- Body built by Briggs. (Maple & Birch Wood Body) n/a n/a n/a Body built by Baker Raulang. 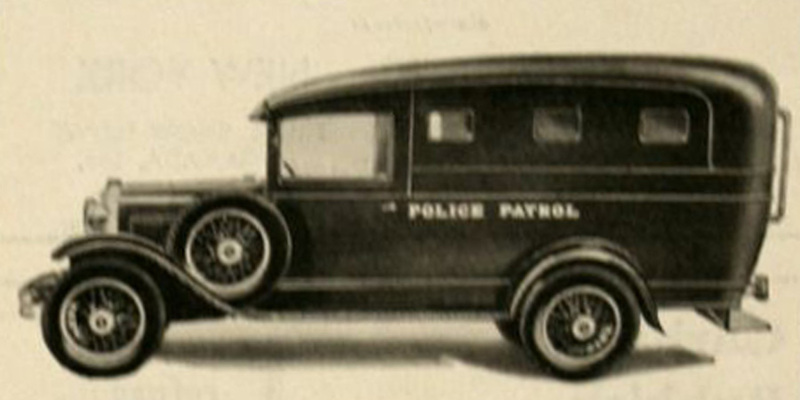 (1929 Procurement) n/a n/a n/a Body built by York-Hoover. (1931 Procurement) n/a n/a n/a Bodies built by York-Hoover and Mifflinburg. June n/a Body panels built by Budd. #? Body built by Briggs. (112" Wheelbase, Milk Truck) n/a n/a n/a Body built by Baker Raulang. (1931 Procurement) n/a n/a n/a Bodies built by GMC Truck & Metropolitan Body Co.
(157" Wheelbase) n/a n/a n/a Body built by Union City.